Besides the considerations of Part 1 in the previous post, price , tenants and condition, the investor has to investigate thoroughly before purchasing anything. In fact, the main job of the investor is not getting the money together, which, admittedly, can be very tough, or running around looking at various deals, which does takes time and shoe leather. No, the most important job for the investor is doing the due diligence. We often hear that expression, “You’ve got to do your homework” or do the due diligence. For real estate, what does due diligence entail exactly? As might be expected with such a vague term, it’s complicated. To me, though, it can be simplified by dividing your due diligence into pre-purchase and during-purchase due diligence. Whatever happens, you don’t want your due diligence to happen post-purchase. Of course, that’s the most basic mantra of real estate and it certainly should be part of any investor’s pre-purchase due diligence. 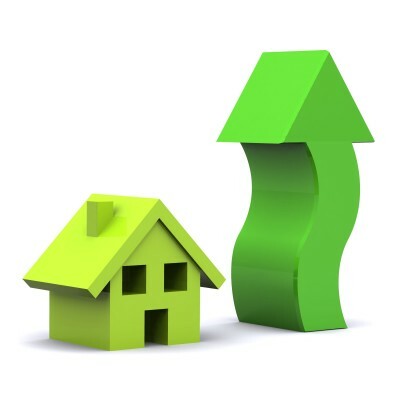 The location of the property will determine the rents and the quality of the tenants, so it is of utmost importance. What is a desirable rental location? Many would-be investors think that a newer building in their own suburb is an ideal investment. This may or may not be true. If the suburb is filled with homeowners, it’s likely that it’s not an ideal place for renters. 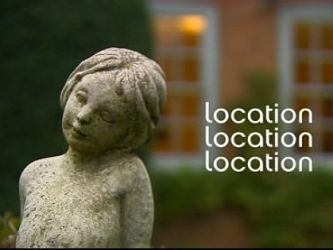 Here are few questions to ask when considering location? where do most residents work? what is the area vacancy rate? If most locals commute to the city, then renters will, too. That means most renters will seek housing closer to their work. Many renters do not have cars, so proximity to public transportation is a must. Whether tenants have cars or not, for most areas the building must have adequate parking. This means at least one space and preferably two per unit plus one or two extra for guests. Failing that, overnight street parking must be available. Make sure the vacancy rate is not above 5% as nothing costs a landlord more than vacancies, especially multiple vacancies. Sometimes areas near a military base or adjacent to colleges and universities offer wonderful rental opportunities which are, nevertheless, different from “normal” rentals. Frequently, in such areas rentals are for six months or two semesters or a summer and then over and out. This might entail more work prepping the units more often, but the rents are actually higher. Usually, too, students and soldiers are not particularly fussy about their short-term digs. Often, would-be investors start out looking for the “best” properties. That is usually a mistake. The best rental properties are usually in moderate to low-moderate areas which are not only more likely to attract renters, but which also offer what every investor should be seeking-immediate cash flow. 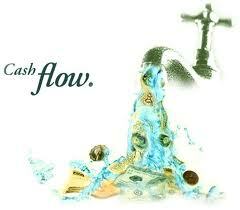 Cash flow is the name of the game and more expensive properties in the best areas rarely offer it. Also, those moderate renters are more likely to stay put than the higher-paying renters with plenty of options. Remember: vacancies are a landlord’s bane. With the low mortgage rates and super-low housing prices, many investors who have fled the crazy stock market would like to invest in real estate. Most of us think we know something about real estate and, really, we do. After all, everyone lives in real estate of one kind or another. Owning your own home and owning a rental-producing asset are two different things, however. Let’s assume you are looking to purchase rental property for the first time. Let’s also assume that you will have the 30% or 20% down to invest and want to leverage your money to best possible advantage. What would be the best use of your money? Many first-time investors automatically gravitate towards single-family homes. That’s what most people know best, so it makes sense. But, is that the best use of the available money? I would say no. On the same amount of land and often for the same price, it’s possible to purchase a duplex, a triplex or a quadruplex. That means for the same money, you will get double, triple or quadruple the rent. It also means that if one renter does not pay, you still are receiving half the rent, two-thirds or three-quarters. This will make quite a difference because you have to pay the mortgage and the expenses of the property every month whether you have tenants or not. Therefore, all things being equal, which they never are exactly, my preference is to purchase a multi-family dwelling instead of a single family one. A fourplex is probably the most units a first-timer can handle. Beyond the fourplex also more complicated loans apply. An investor can even purchase up to a four-unit building with an FHA loan which requires only about 3.5% down plus another 3 to 4% in closing costs. Using such a loan puts the investor at a significant advantage due to the gain in leverage from the smaller down payment. Fixer or Repaired? Many first-time investors naturally tend to look at fixer properties because they are cheaper than properties in good condition. If the investor is an experienced rehabber or in the construction business, then it might make sense to buy a fixer. As long as the buyer has experience, knows the cost of the needed materials, and can either do the work himself or can get it done at a reasonable price, integrated into the purchase price, then a fixer can be an ideal asset. For everyone else, though, it’s really not a good idea. During the rehab, the investor is paying the mortgage but receiving no rent. Sometimes repairs take longer than anticipated. As a rule of thumb, rehabbing a property always costs more than anticipated. Besides the loss of rent, the investor should take into consideration the wear and tear on his personal psyche. Searching out reliable contractors and overseeing their work can be exhausting. For someone with a full-time job, the time lost to the new property can never be recovered. Another issue that investors have to consider is whether they want a fully-occupied or a fully- or partially-vacant building. Often, sellers are trying to get rid of properties which they have saddled with bad tenants or tenants not paying market rents. Asking for the rent roll and checking it carefully will show if the existing tenants are paying or not. 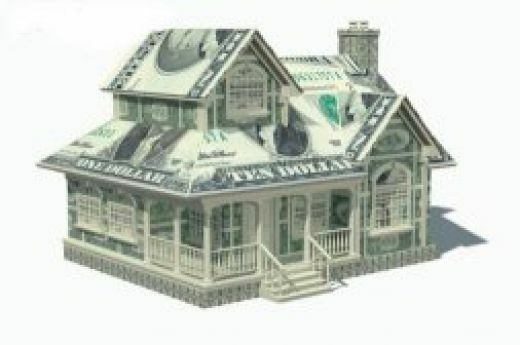 A smart investor also has a good idea what the rents for the proposed purchase property ought to be. The purchase price should usually be a multiple of the yearly rents. Thus, if the yearly gross rents amount to $26,000, then the purchase price should be about 10-12 times the rent, or $260,000- $312000, depending on the market. In some markets investors will find properties for significantly less. In the MLS listings, frequently the would-be investor will encounter “pro-forma” rents alongside the actual rents of the property. This means the seller has failed to keep his rents at market, so the potential or “pro-forma” market rents are included. That’s fine as long as the price of the property is calibrated on the actual, not the pro-forma, rents. Of course, usually sellers want to base their price on the pro-forma rents. But, think about it. The new investor will have to approach the existing tenants with a hefty rent increase as a first introduction, not a good start. Some of the tenants will leave rather than pay more. Others will have to be evicted. Whatever happens, it will cost time and money for the new investor. Reasonably, then, the investor should not pay pro-forma prices. If the investor feels confident that the current renters are paying close to market rents and have a good history of on-time payment, that is the ideal situation. On the other hand, there are good reasons to purchase a vacant property as well. The new owner will be able to thoroughly investigate each and every unit, which is usually not possible with tenant-occupied, making any repairs or cosmetic updates required. Plus, the new owner will set the deposit amount, the rent amount and the qualifications for the renter. Don’t want dogs? Want to check credit and do a background check? Want to limit smokers? Any of these are possible with a vacant building. Is The Housing Crisis Over and Out? The worst of housing times may be slowly working its way into a dim memory as home buyers are returning to the marketplace. The national housing stats are suggesting that the terrible pain of the last six years may, at last, be coming to an end. According to the National Association of Realtors [NAR], national home sales rose 3.4% in April for a total of 4.6 million homes sold and the median home price for the nation rose to $177,400, a full 10% over last year. Of course, the NAR has a vested interest in the health of the housing sector and its stats may be on the rosy side, as many commentators have pointed out. Still, 10% increase in value, even 5%, is terrific news. For more good news, purchases of new homes rose almost 10% over last year. At the same time the purchase price of these new homes rose almost 5% to a national median of $235,700. Housing starts are up over 50% from their 2009 low. So, it does seem as if there is some ground for optimism. Finally, the combination of incredibly low mortgage rates and low home prices has begun to attract the public, still stunned from the worst economic downturn in decades. For the millions still underwater and behind in outrageous payments, even thinking that the housing crisis may be on its way out is a cruel joke. Nevertheless, there are some solid reasons for an eventual and actual end to the housing crisis of the last few years. Our U.S, labor market has been improving over the last two years ever so gradually, diminishing the ranks of the unemployed slightly month by month. Add to that enticing mortgage rates which remain at historic lows and it makes sense that home buyers with the wherewithal would begin to have enough confidence in their future prospects to make that big home purchase. Rental rates have been rising throughout the country and renting has many advantages over owning a home. Nevertheless, rental rates are still much higher than the cost of owning a home in great swaths of the country. This is based on purchasing a home with 20% down and owning the same home for at least 5 years Additionally,these stats take into consideration only the purchase price of the home, not the ongoing costs of maintaining it. Though for the most part in Southern California rental rates are still cheaper than owning a home, the allure of home ownership is still a strong pull both for the younger, first-time buyers as well as older, more experienced ones. The many young people who have returned to live with Mom and Dad or those who have rented with roommates for several years are now yearning to live free–in their own homes. Is The Crisis Finally Over? Millions of homes are still underwater. Millions of homeowners are still faced with foreclosure or the prospect of short sale. With that in mind, the housing crisis is certainly not over. Despite the modest recovery in the U.S., now our global trading partners are starting to slow down or even crash themselves, especially the EU and the BRIC countries [Brazil, Russia, India, China], which had been keeping the economic engine stoked. This country is recovering and we may manage to keep up the trend going mainly by satisfying pent-up internal demand, especially in housing. It seems clear that now and for the rest of this year, it’s a good time to buy a home. Prices are still very low and mortgage rates are very low. Both of these factors are likely to extend through the end of the year and into 2013. For those thinking of selling, it’s a more mixed picture. For those deeply underwater, home prices are unlikely to spike in the next few years, so better to bite the bullet and sell now. For those who want to move up, this seems to be the ideal time to make the move. And, of course, many have little choice in the matter: whether it’s through marriage, divorce, new babies or new jobs, selling is really the only option. Louis XIV of France, styled the Sun King, famously opined, “Apres moi, le deluge.” After me, the flood. He was right, of course, for his excesses so infuriated the people that his successor was guillotined and his monarchy overthrown in the French Revolution. Something similar seems to be brewing in Southern California and maybe even nationwide as lenders ratchet up their foreclosure filings after the “robo-signing” lull. Though foreclosures dropped dramatically in SoCal this fall, so, too, did all home sales. The reasons seem to be many: the end of the home buyer tax credit, stubbornly high unemployment and the generally still-moribund economy. In fact, sales are down a full 16% from November of 2009. This at the same time foreclosure filings fell 14% from the previous November after a 22% decline in October for a two-month total 36% decline. Nationwide, the filings fell 21%. December is traditionally a slow month in real estate as consumers focus on retail buying, parties and holiday travel plans. Typically, though, also in December smart investors are out there snapping up last-minute bargains of the now-extremely motivated sellers still on the market. Competition is almost always much less, to put it mildly, and sellers are determined to close out their books for year’s end. This year seems to be different as even investors are holding back. That may be because the huge drop in foreclosure filings this fall has ominous repercussions for home prices in the new year. With the foreclosure freeze over, informed observers now expect to see the banks ratchet up their foreclosures with a vengeance, restarting filings begun in October and November and barreling ahead with new ones in January. Executives from RealtyTrac, a real estate data collection firm, speculate that the housing recovery could be set back three months, if not more, as the foreclosures pile up. 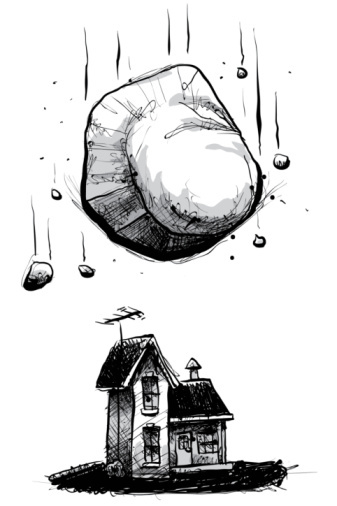 In fact, we can expect ” an avalanche” of foreclosures shortly. The most immediate effect of an avalanche of foreclosed properties on the market will be to further depress prices in Southern California which had started a slight upward movement. Los Angeles County home prices had dropped 1.2% over November 2009 to a median of $325,000. Riverside and San Bernardino Counties, the hardest hit by the bursting of the real estate bubble, lost 2.5% and 5.0% respectively to medians of $195,000 and $152,000. But, that is a huge improvement over the 30% and 40% drops of previous years. Other SoCal counties actually gained in value. 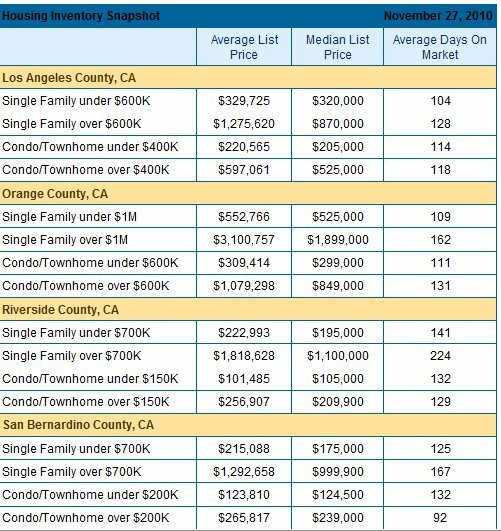 Orange County eked out a .6% improvement for a $435,000 median home price. San Diego topped the charts with a 3.1% improvement over last year to a median of $335,000 with Ventura County just behind at 2.7% uptick to a median of $375,000. These hard-earned gains will soon be lost as the promised avalanche of foreclosures hits the market. Perhaps sales will pick up as buyers and investors are lured back into the game. But, bargain-hunting fun aside, another price drop for already distressed homeowners will plunge yet more homeowners underwater. That, in turn, spirals down into more foreclosures and more equity loss in future. Like Louis XIV, banks see this as well as anyone, yet still refuse to modify loans in any serious way. Like Louis, they see, but, obviously, don’t give a damn as long as they get their bonuses. Short-term is the only term. Sales in Southern California counties are slowing. While this is normal for this time of year as most of the population is occupied with holiday preparations and parties, the amount of real estate inventory continues to grow. The rise in inventory will, in turn, lead to a further decline in home values as home sellers, including banks, attempt to price their properties competitively. 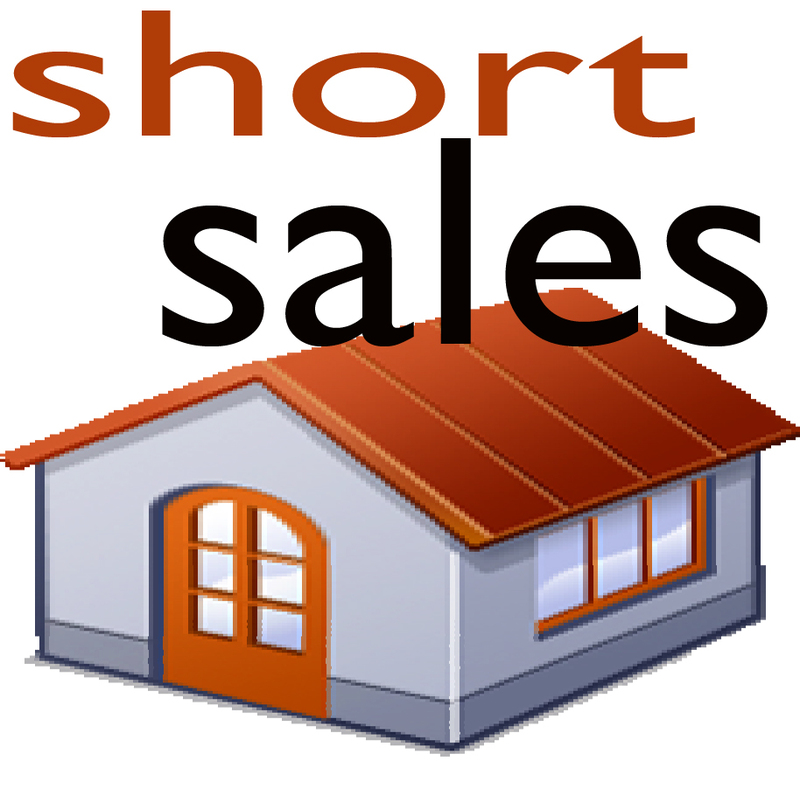 Great Short Sale News. 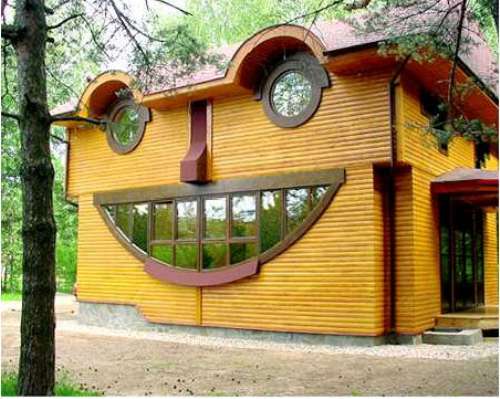 You CAN Buy Another House. 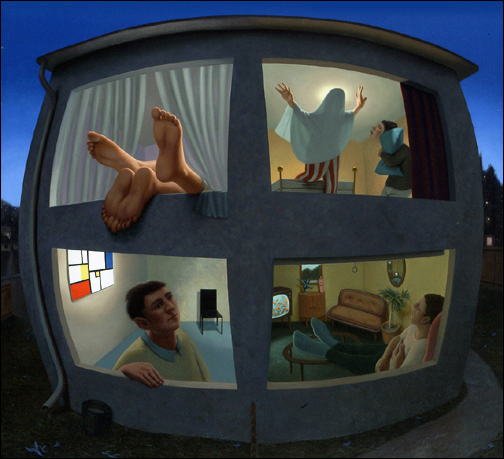 Losing sleep over the precipitous drop in the value of your home? Wondering how you can continue to make payments on that $500,000 loan when the home now seems worth at most $300,000? Casting jealous glances at the newcomers in your area who are getting bargain prices and bargain rates? Guess what? Now you can short sell your home AND buy another house at today’s prices and rates. Over 14 million loans in the U.S. are now either underwater or in some stage of foreclosure. About half the nationwide sales to new buyers are either repossessions or short sales. It seems to most underwater homeowners that there ought to be some way to connect the two–now there is. You can short sale your home and buy a similar property for half the price. Lenders are now coming out with new programs, many insured by FHA, which make it possible for homeowners to short sale their homes and simultaneously buy another property at today’s prices and today’s rates. Many homeowners have allowed their homes to go into foreclosure or waited helplessly for the loan modifications that never came simply because they couldn’t figure out where they were going to live if they left their homes. Some decided to stick out the school year. Others couldn’t bear to leave the neighborhood. Now they don’t have to. Here are a few of the guidelines that will allow homeowners to short sale their current home and simultaneously purchase another home. First, they must be current on their mortgages. So, owners who have “let the property go” or who were not financially able would not qualify. Finally, here is some reward for those who have steadfastly made their payments in the face of dropping values. Second, they must be able to qualify for the new mortgage.That means a FICO of at least 640 and income sufficient to pay for the new mortgage.That’s not as hard as it may seem. If a homeowner can pay the $500,000 mortgage at 6% or 7%, no matter with what great difficulty, think how easy it will be to pay the $300,000 with a 5% mortgage for an identical property. Third, the buyer must have money sufficient to pay the minimum 3.5% FHA down payment and the accompanying closing costs. The short seller will get no proceeds from the sale of his property. That’s a given. So, where will the money come from for the new property? If it’s an FHA loan, the minimum down payment is 3.5% and that total amount can be a gift. Also, the short seller is eligible for the federal tax credit which goes up to $6500 for move-up buyers. That may be applied to the down payment or closing costs, but this is not yet determined. Finally, some programs require that the new loan cannot be more than the previous loan. So, in this case the new loan cannot be more than the $500,000 which the buyer was paying on the previous home. With the drop in prices today, in most markets, this will be an easy criterion to satisfy. It’s no secret that plunging home prices still make home-buying out of reach for many. The reason? Lenders have become tough and tougher. It’s the old shutting the barn door after the horse has run out gambit. Lenders were so profligate with their money before that now in reaction they’ve become regular Scrooges. Today, many of the best deals, the REOs and properly-priced properties, go to those with 20%, 30% or more down payments and A+ credit. Gone are the no-money-down loans, the no-PMI second mortgages and the no documented income loans…Gone, gone, gone. So, what to do if your credit isn’t quite good enough right now? Or, you want to buy now, but haven’t yet gotten that down payment together? One possible scenario is to bring back the lease-option contract, fallen out of favor lo these many years of booming home prices. Often, the buyer/renter pays an “option fee” up-front, sometimes pays more than market rent for the property, both predicated on the seller agreeing to apply part or all of the option fee and the extra rent to an eventual down-payment on the property. So, if I want to purchase a $300,000 home, I might pay $5000 in option fee to the seller and $2500 a month in rent, instead of $2000, applying the extra rent and half, say, of the option fee to the down-payment. At the end of a year, I’d have $8500 or a good chunk of my down-payment. If, at the end of that year, I wanted to exercise the contract, I’d buy the house. If not, then I’d forfeit the option money and the extra rent. Bear in mind that the details of the agreement are totally up to the buyer/renter and seller/landlord. The contract could say the buyer gets to apply the whole $5000 or the rent is $2300 with $500 applied or the period is 18 months or the purchase price is $320,000 or whatever the two parties can negotiate between themselves. The good part about this is that sellers get up-front money for their rental properties with a good chance at selling in the future at a fair price to a qualified buyer. They also get a renter who is more likely to take good care of his property. Renters get to become buyers over time instead of all at once. They get to know the property intimately before buying it outright. As always, renters get to walk if the deal no longer appeals to them. And, sellers get to keep their option money or part of it, depending on the agreement, if they do. But, there are a few downsides. Buyers must beware as sellers still control the property and may take out more loans or have liens placed as a consequence of court judgments, or, may have already done so. Potential renter/buyers should protect themselves by checking with a title company or a real estate lawyer. Buyer/renters should also make their interest in the property public by recording their legal contract with the County Recorder. That way, everyone is aware of the contract. This type of agreement is potentially a great deal, especially for the buyer/renter. The seller is locked in for the duration, but the buyer/renter can continue to look at other properties and can always decide to buy another property when the time comes.